( 17th August 2013 ) .. On this early, wet, Saturday morning our customers in Sennen Cove, Mr and Mrs Bloomfield snapped a key in the euro cylinder just before leaving on a road trip back to Cambridgeshire. Although we were unable to save the cylinder, we were able to get the cylinder out and change the cylinder so they could get underway. 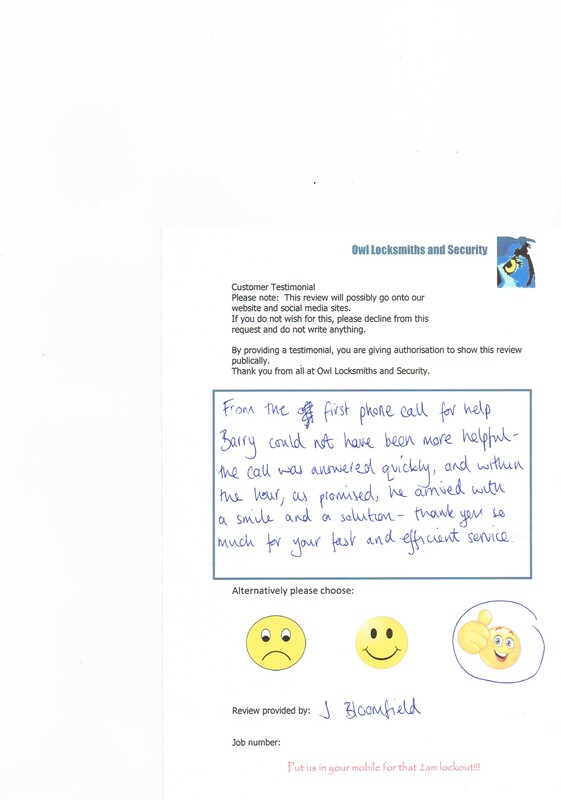 From the first phone call for help, Barrie could not have been more helpful – the call was answered quickly and within the hour as promised. He arrived with a smile and a solution. Thank you so much for your fast and efficient service.